[ae-fb-embed url=’https://www.facebook.com/BuffaloNiagara/videos/2294483597244610/’ width=’500′ showtext=’true’ allowfullscreen=’true’] Thank you Visit Buffalo Niagara! 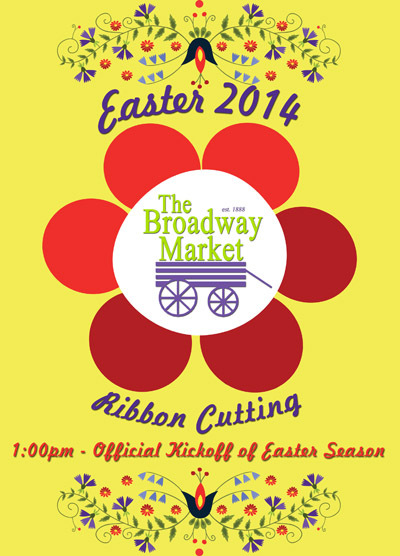 Here is the schedule of hours for the Easter Season at the Broadway Market! Easter Season Kicks off Friday at the Market! Video: 2013 Easter Season Opening Ceremony at the Broadway Market! Thank you to everyone who came down today to kickoff of 2013 Easter Season! 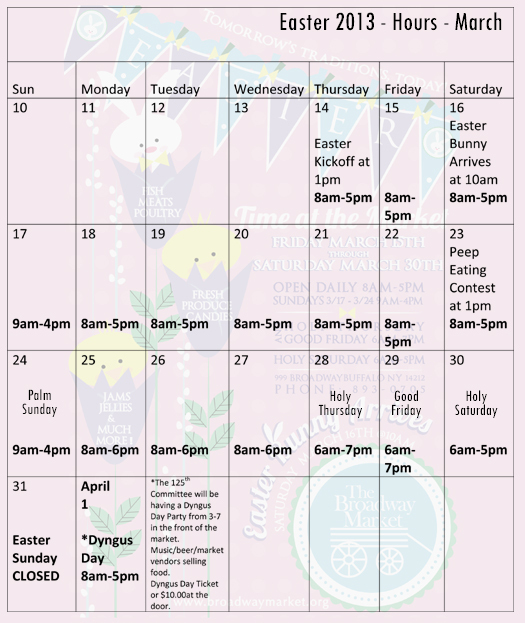 Here is a listing of our hours for the 2013 Easter Season! Look who bought our bags today!!! [nggallery id=11](click on images for full view) These are just photos of some market shoppers who bought our bags today! You can get yours by stopping by our info table. They are only $2.00!